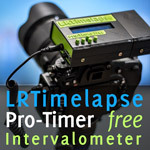 I just purchased LRTimelapse and had been experiencing the same issues as others, so went down the checklist of things to check and at the end I still could not get the previews to render up back in LRTimelapse. I am doing this on a brand new MacBookPro, which of course only has 16 gigs of ram. I have the fastest processor a 2TB internal SSD, the best Mac laptop one can buy. Coming back to LRTimelapse resulted in a red bar under the preview window when Visual Previews was initiated. I began with a progress at about 3% which eventually went away showing no progress and a red bar. I have 1800 Panasonic GH5 raw files loaded that are full resolution. As a test last night I moved the entire project to my workstation that I use for feature films, television commercials etc. This is a Mac 12 core with expansion chassis for multiple Titan GPUs, 96 gigs of ram, very fast fibre drives, etc. I loaded it up on this machine and went round trip and immediately began getting a green progress bar with Visual Previews initiated. I was hoping to use this application remotely with my laptop, but looks like I need a lot more ram, which Apple still doesn't provide as an option on the MacBookPros, but the good news is it works well on a machine with a ton of ram. I have problems with WB processing (temperature and tint) of DNG files from Ricoh GXR camera (A16 module). Everything works fine up to Auto Transition - LRT computes all the transitions correctly, including temp. and tint (shows these correctly both in the tab as well in the graph), but after saving the changes and going back to Ligthroom, the WB settings (temperature and tint) are lost, all the files are set to temperature value 5001 and tint to 10. All the other transitions are saved, preserved and processed by LR correctly. When checking the WB information in XMP files saved by LRT, I don't see the WB information there. I have no similar problems when working with DNG files exported from Samsung's SRW files, nor with the SRW files themselves. 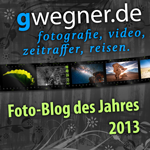 I'm on LRT 4.8 and LR 6.13, Camera Raw 10.0, Win 7 64b. This was a problem also with previous versions of LRT (since Nov 2015, when I purchased the license), so it is not related to the latest version(s). I followed exactly all the guides and tutorials, I searched and checked all the related posts here, I checked (and tried) all the steps described at the beginning of this thread, but can't find a solution. Could it be a problem related to format of EXIF data used by Ricoh in it's DNG files? Any other suggestion? Did anyone with Ricoh (APS-C) cameras encounter similar problem? For that camera, it seems as if the white balance handling cannot be detected correctly. In that case you will have to manually change the white balance handling: load the sequence, go to metadata / set white balance handling and set it to the other choice, not selected. It would be best to initialize the sequence once more in LRTimelapse (Metadata/Initialize), before changing the white balance treatment and then redo the whole workflow. Thanks, Gunther, changing WB handling from relative to absolute indeed fixed the problem, at least for DNG files from Ricoh GXR with its A16 module. For DNGs from older Ricoh GX100 cameras nothing helps, but I don't care too much about that. I am having problems with the DNG files. I have tried quite different approaches. 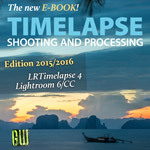 I'm using Lightroom 6.10.1, LRTimelapse 4.7.8, Windows 8.1, Nikon D7000. I have a bunch of sequences in JPEG mode, so I wanted to convert them to DNG for Visual Previews. I tried the suggestions at the beginning of the post, and yes Lightroom changes the metadata. Then I do autotransition, visual previews, deflickering, and finally when I save the data, those changes don't appear in Lightroom (The upwards arrows don't show up). I was doing this as converting my JPEG files in Lightroom to DNG files, but then I've also tried converting some RAW images by the latest version of Adobe DNG Converter to DNG, but the result is the same. The metadata save/read process works fine with RAW and JPEG files, I just can't get it work for DNG files. Is there any point I'm doing wrong or missing here? I'd appreciate any suggestions. Thank you. This post was last modified: 2018-03-21, 20:47 by gwegner. when I tried to reload nothing changed on exposure 2012 in the table. but the exposure on metadata tell me its 1.5. I followed your troubleshoot steps one by one. my conclusion is lrt cant read the metadata from lightroom. You might be working on different folders - please double check! You need Lightroom >4 also, it won't work with LR3. No 4 star first and last photos. "No photos match the filter"
I did not see this solution in the troubleshooting guides...if I missed it I'm sorry. Under "Apply During Import" after you drag into Lightroom...in the Metadata box....I had a custom preset.